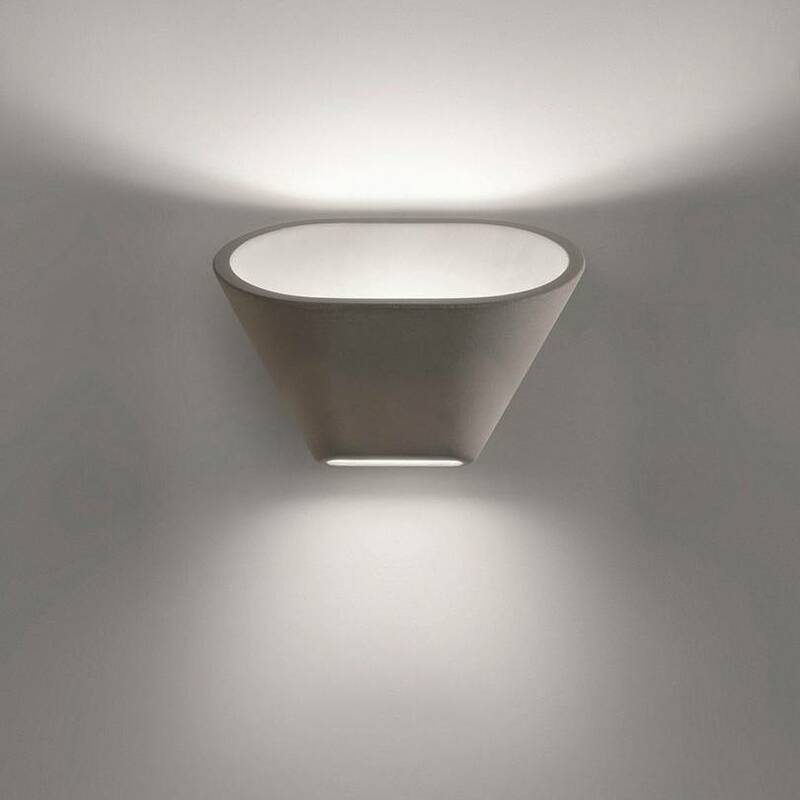 Wall lamp with indirect and reflected light. 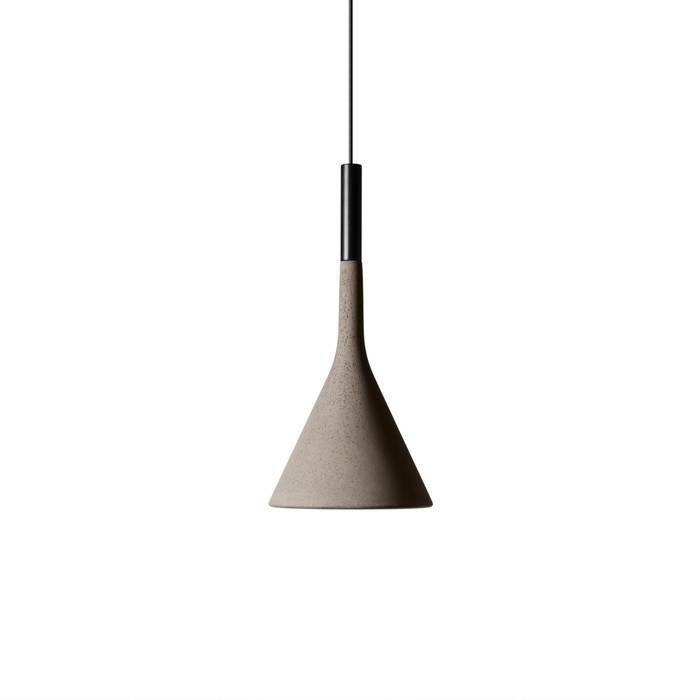 The lamp body is made of cement, consisting of a special amalgam coloured with pigments, produced by pouring the fluid mixture into a mould. 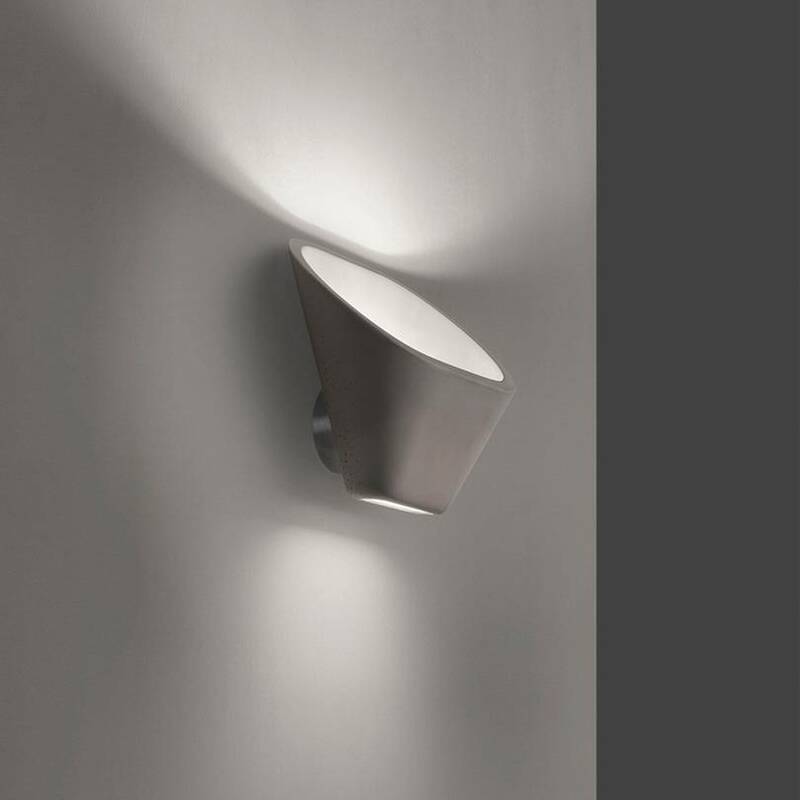 Internal parabola-shaped brushed steel diffuser, mount and wall mount in painted metal. 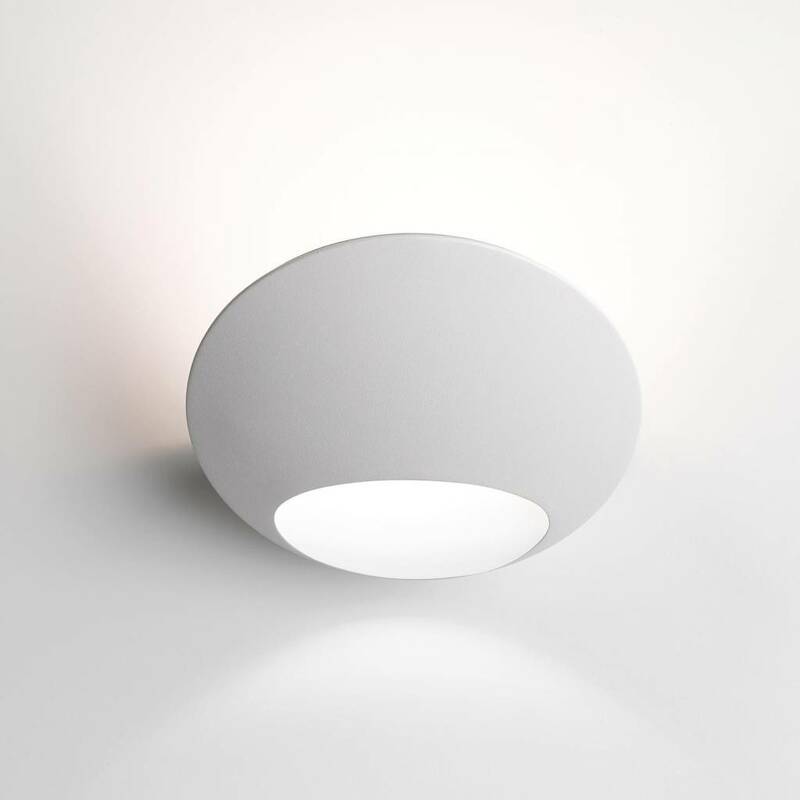 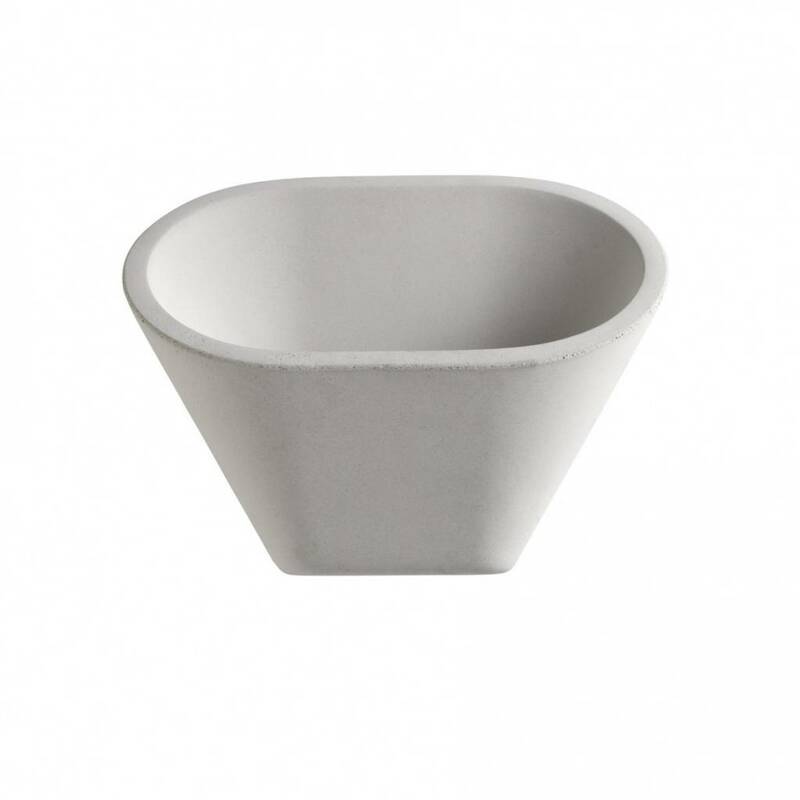 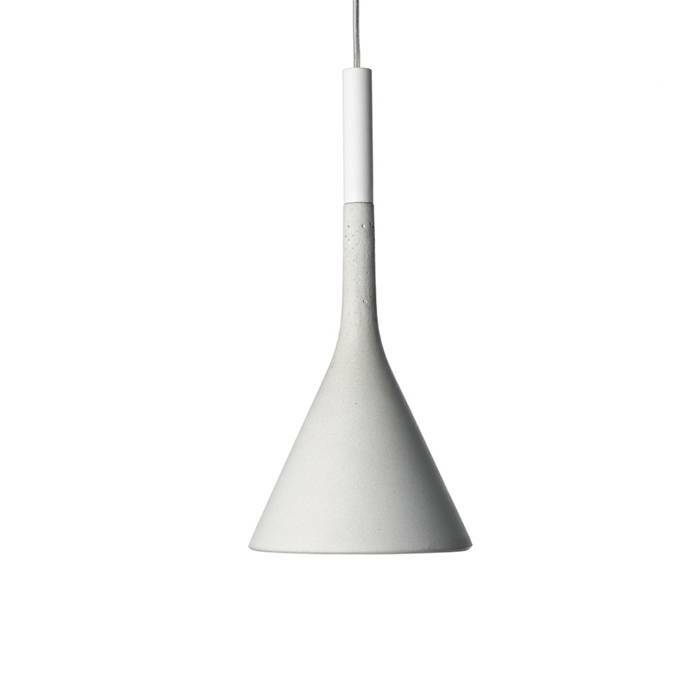 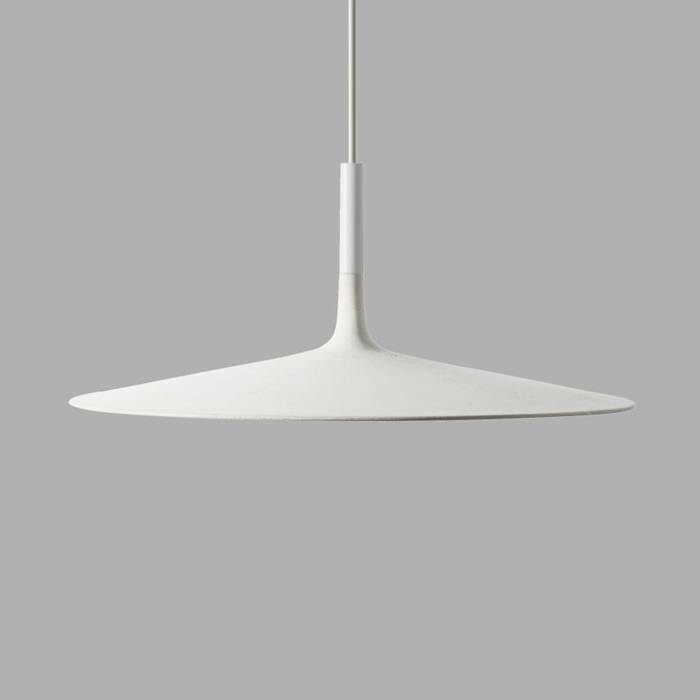 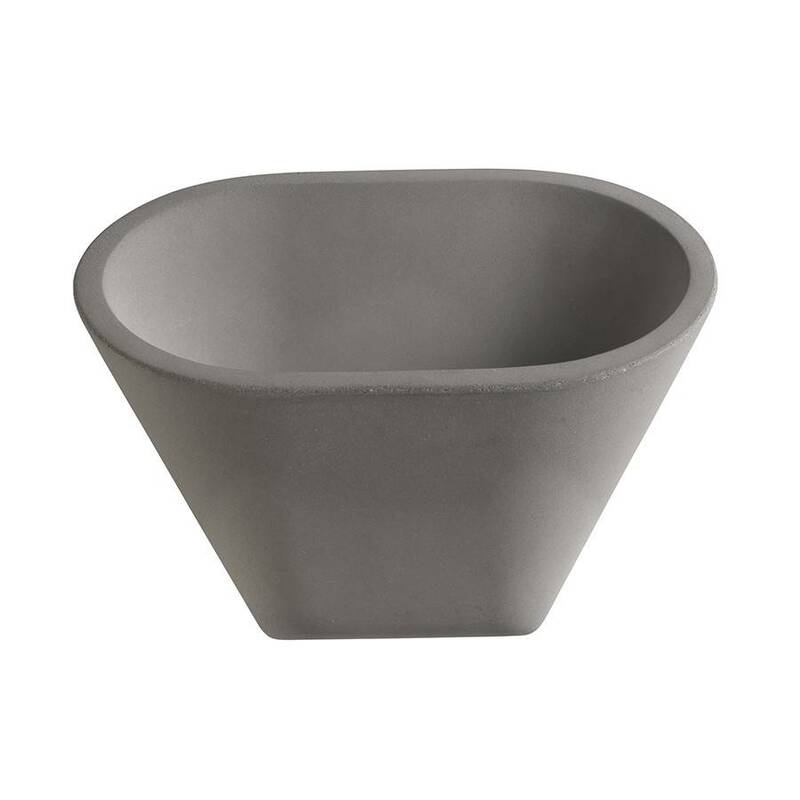 The light is also diffused downwards, through an opening at the base of the diffuser that is protected by a glass disc with an acidetched finish.